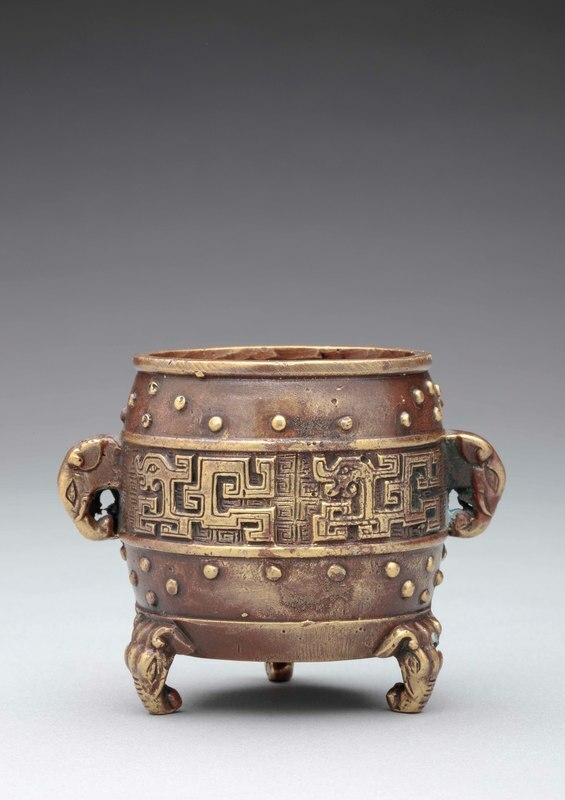 Miniature archaistic gilt-bronze incense burner. Qing dynasty, 19th century. 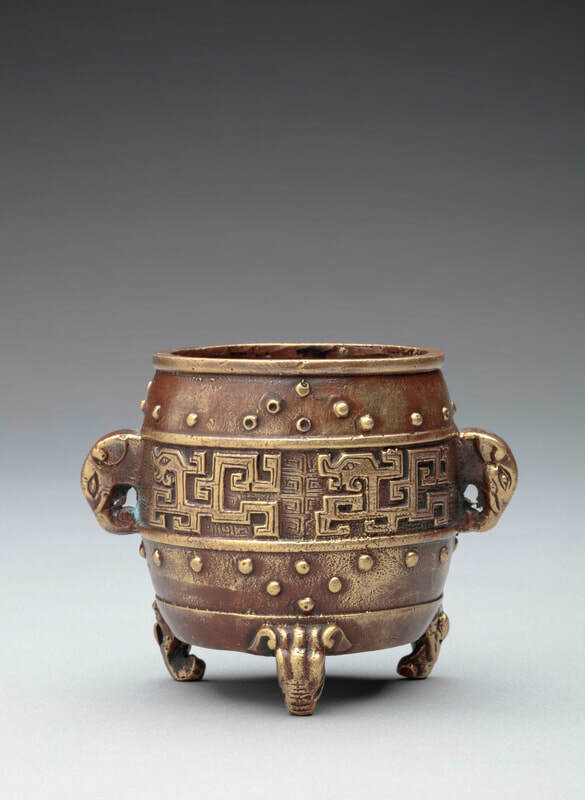 A miniature, parcel-gilt bronze incense burner in archaistic style. Of barrel form cast with three elephant-head feet and two elephant-head handles. The exterior cast with an undulating pattern of gilded bosses centering an encircling band of four gilt dragons reserved on a gilded leiwenground. The flat base with a four-character Xuande mark within an incised square. 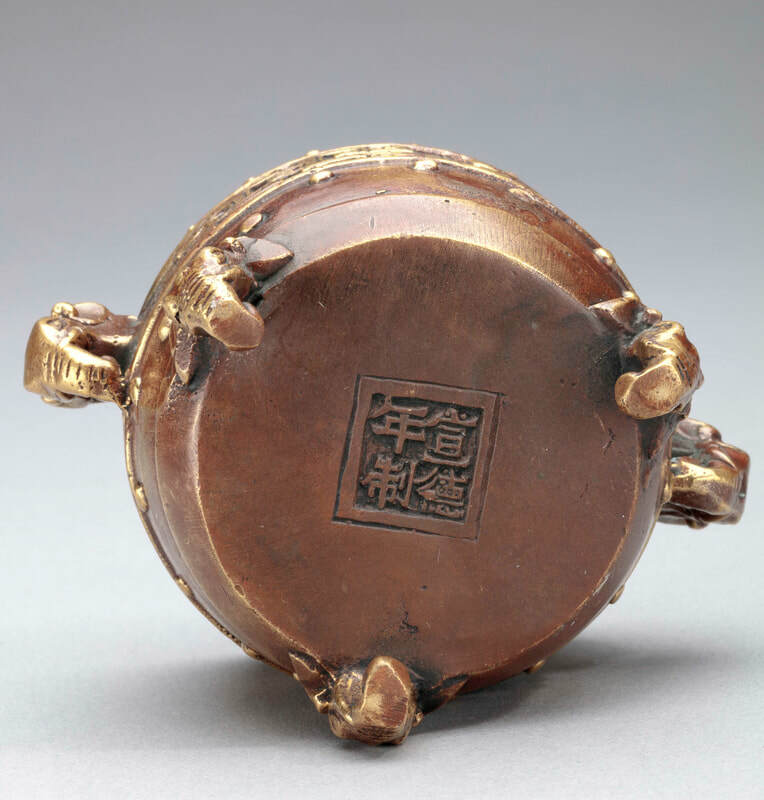 For a larger (H. 19.1 cm), but otherwise identical, pair of incense burners, one with a raised two-character Xuande mark and one with a raised yu wanmark, see Chinese Incense Burners: Collection of Steven Hung & Lindy Chern(Taipei: The National Museum of History, 2000), no. 128, page 154. Those, like the censer here, show the dragons facing left, rather than facing each other, as one might expect.